Border is a Bhojpuri film released on 15th June 2018 on occasion Eid. 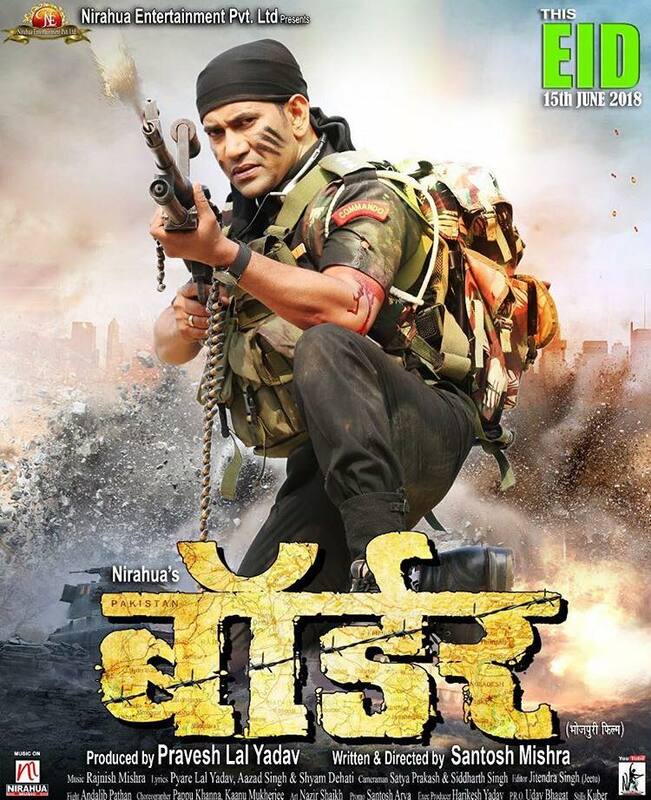 This film is directed by Santosh Mishra and produced by Pravesh Lal Yadav. Film Border will be full of Action, Musical and Romance. Dinesh Lal Yadav, Awdhesh Mishra, Aditya Ojha, Vikrant Singh Rajput, Gaurav Jha, Amrapali Dubey and others will be lead role.